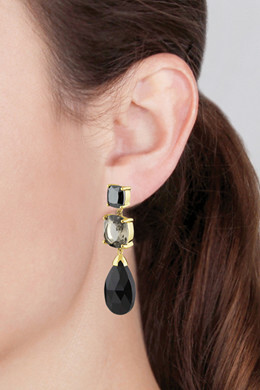 Beautiful drop earrings with a mixture of semi-precious gemstones and glass crystals. These earrings make the perfect accessory for any occasion, and come in many different colors and variations. 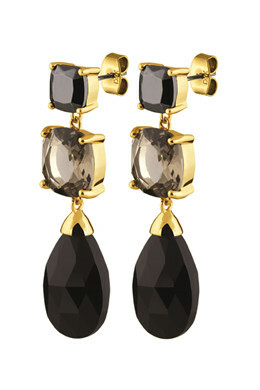 This particular one is in a gold toned finish with black hematite stone and onyx.